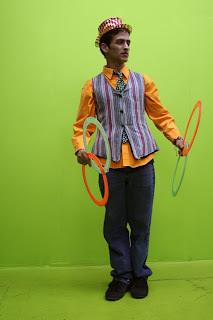 Juggling And Design: Hello This Is My Blog!! Hello This Is My Blog!! Welcome To Read And Comment About Almost Anything Mostly Graphic Design And Juggling. My name’s Jose Barboza but you can call me Jose. I’m from Maracaibo, originally. I’m 19 years old and I study Graphic Design at URBE. I’m in level 6 of the URBE ESL Program. I live in Maracaibo, Indio Mara. I love music, dancing, juggling, eat a lot of junk foot, climb, travel, go out with my friends, etc. About English, I really like English and a lot of others languages because I like to travel a lot and navigate in the internet and knowing several languages I can communicate and get a lots of information. Fell Free to Comment and Add me To Your Friend List. If You Have A Blog Let Me Now To Check It Out.